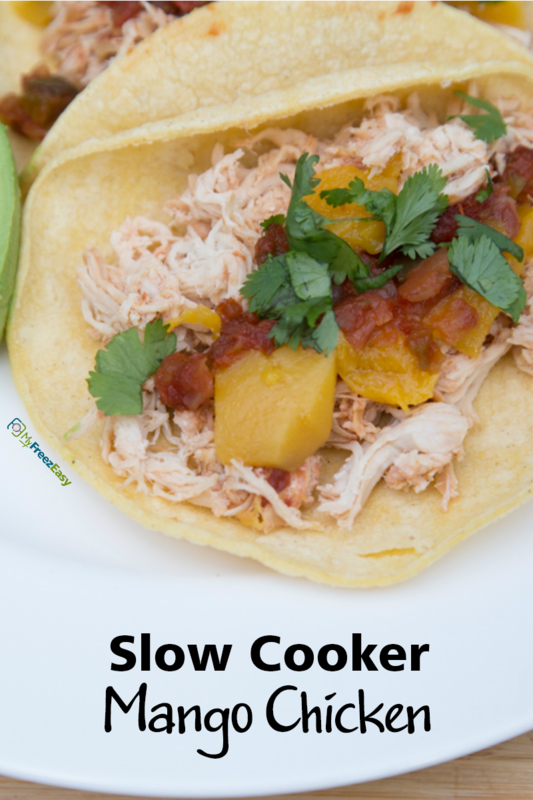 I love the ease of a slow cooker meal like this. Simple, delicious, stress free dinner! Place the chicken thighs into the base of the slow cooker. Drizzle the olive oil and vinegar over the top of the chicken. Season the chicken with garlic powder, salt and pepper. Place the diced red onion, zucchini slices, mango pieces, and drained diced tomatoes over top and around the chicken thighs. 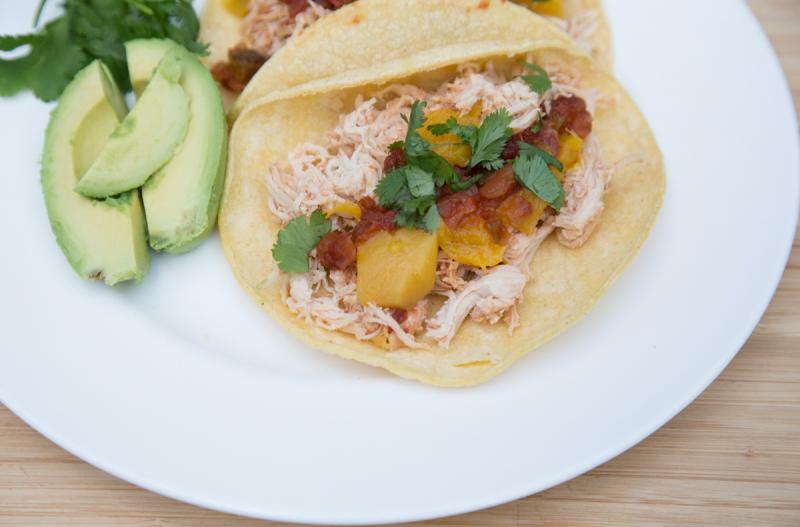 Serve Slow Cooker Mango Chicken with dinner rolls. Dice 2 red onions. Slice 2 medium zucchini. Dice 2 mangoes. Add the contents of the freezer baggie to the slow cooker and cook on low for 8 hours.